Minimalist Responsive Blogger Template is a free Blogger Template which is designed to fit on any type of devices such as iPhone, Android or Desktop. The layout of the Template changes based on the screen size of the device. This allows the viewer to view the site user friendly. Light colors are used to give more focus on the blog content and a Mobile Friendly interface. 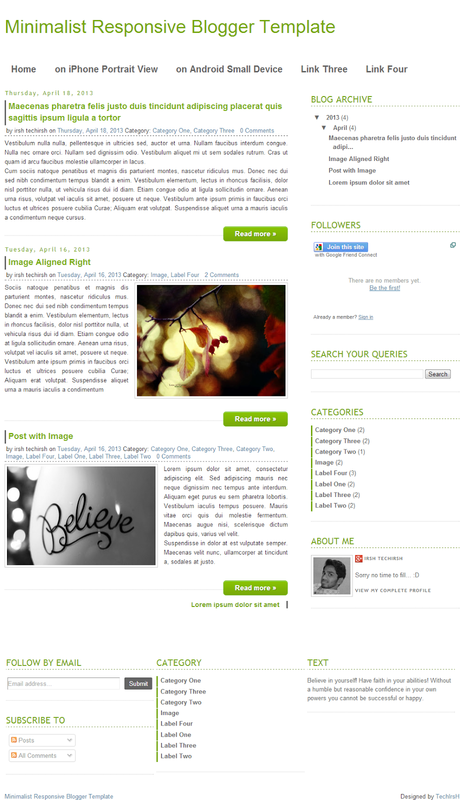 Blogger supports different template for mobile devices which does not support all the widgets. Using Tablets and Mobile devices for surfing has became more popular. 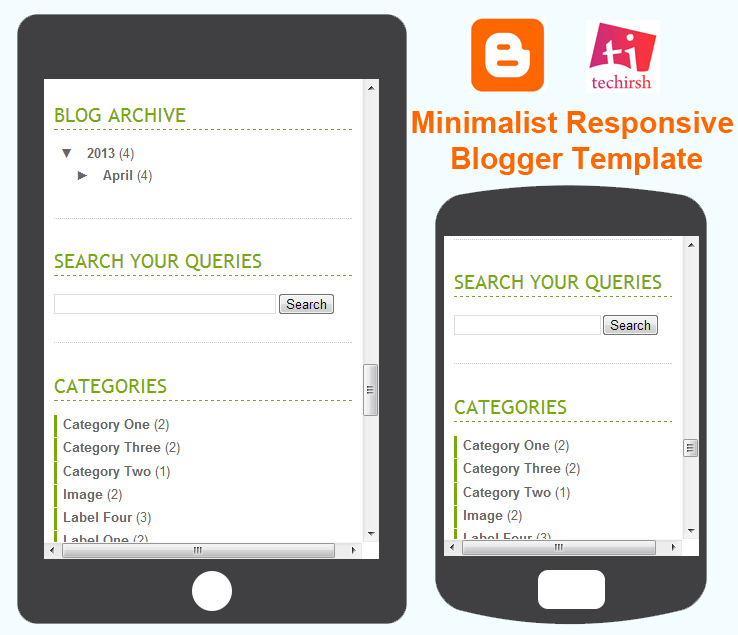 To provide same data to all the users in effective way we can use Responsive Blogger Templates.